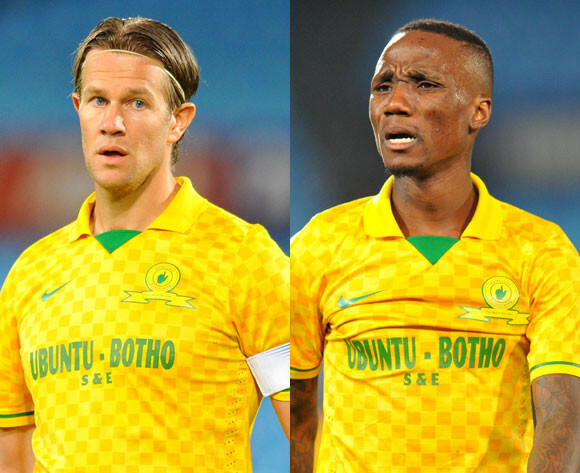 My take on why Mamelodi Sundowns’ league championship-winning pair Teko Modise and Alje Schut will fight it out for South Africa’s Player of the Season. The Sundowns playmaker is the popular choice for Player of the Season after his consistent performances in the Sundowns engine room, which often sparked The Brazilians into attack. Modise has matured at Sundowns under Pitso Mosimane and took responsibility for creating goals and scored some crucial ones too. He will go head to head with teammate Schut for the award. Will it be Modise’s magic or Schut’s authority in defence that wins the award? Either way, both players will be worthy winners after impressing in the yellow and blue of Sundowns. Without the big Dutch defender Mamelodi Sundowns would not be challenging for honours. He has been that good, that reliable and that professional. Schut’s composure and winning mentality has rubbed off on his teammates and he has played a leading role in the team, both in defence and adding an attacking threat on set pieces. Bidvest Wits coach Gavin Hunt once said that ‘strikers win you games and defenders win you leagues’. Schut has proved that under Pitso Mosimane’s care this season and if the judging panel decide that it was Sundowns’ defence that proved most influential throughout the season, then Schut is likely to win the award ahead of Modise. The Kaizer Chiefs man has been superb this season as Amakhosi failed in their attempt to defend their League title. He is right up there in the chase for the top scorer award, but with his own form and that of his team fading as the season came to an end, he is unlikely to win the Player of the Season award. Parker has matured into a top class professional. Despite strong competition from the likes of Majoro, Nkhatha and Musona he has remained the club’s key striker throughout the season. The Bidvest Wits captain has played a skipper’s role better than anybody else in the PSL. He is a box to box midfielder who also scores goals from midfield and several of those strikes have been important goals that have taken his team on to victories. He has also cracked the Bafana Bafana squad this season and it is no surprise that Chiefs, Sundowns and Pirates are all looking for his signature. However, both Vilakazi and his club are hopeful of an overseas move in future. Katsande is the most improved player in the PSL right now. The hard tackling Zimbabwean has a huge appetite for the game and he has clearly listened to his coach worked on his game to the point where he is now a match winner and not just a defensive midfielder with one dimension to his game. There is more to the man now as an all action midfielder, but sadly for Amakhosi his efforts were just not enough to retain the league crown. Platinum Stars won both the 8 and Telkom Knockout but are struggling to secure a Top 8 League finish this season. A lot of their cup success this season is down to team work and the impact of players like Mere, Ngele, Botes, Gumede and Mbatha. But Ng’ambi is the pick of the bunch. A classy goal scoring midfielder who performs week in and week out. That Sundowns have tried desperately to sign him symbolises his class. Three goals in their 8 triumph, one in the TKO and just over a handful in the League highlight his value to Dikwena. It is that time already people – the Fifa World Cup is upon us. Can you believe that the Brazil party is about to start? It seems like just the other day we were all dancing and singing n Mzansi. Remember Zakumi, remember that goal from ‘Shaba’, remember that ball called Jabulani? For most of you it’s probably not much of a surprise that Adidas is supplying the football for the 2014 World Cup. The brand has a 44-year history of providing footballs that are of industry leading quality and meet all of FIFA’s specifications. Check out what the ball looks like and see some videos below for the history behind Brazuca. So now we bring you the Brazuca – the official match ball for this year’s tournament. Did you know that Brazuca was named through a public vote involving 1 million soccer fans? The name is an informal local term, which is used to describe the Brazilian way of life. The colours and ribbon design reflect the vibrancy and fun associated with soccer in Brazil. The ball exceeds all technical requirements and introduces a revolutionary 6-panel design that will provide improved grip, touch, stability and aerodynamics on the field. So, I wonder if wee will see even more goals flying into the net from the likes of Messi, Ronaldo, Van Persie and Suarez! 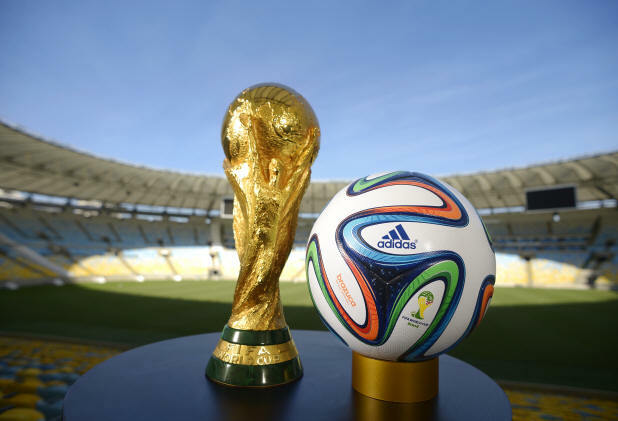 Thanks to SuperSport you can watch every moment of the Brazuca in action during the 2014 FIFA World Cup – LIVE, in HD on two dedicated channels or via their in-app Streaming on iOS and Android devices. You can also follow @SuperSportTV & @SuperSportBlitz on Twitter to keep up-to-date with all the action and visit facebook.com/SuperSport for more information.